Once again we're back to having to do arenas for a good pve weapon like back in tbc. For some reason, even tough the ilvl 258 version of this weapon has the same dps as the ToC25 heroic drop, this wep has better dps than its pve equivalent, which drops from ToC25 normal, or ToC10 heroic. So unless your guild is able to do ToC25 heroic, or you're able to get 2200 rating, this is the best weapon for plate dps, both for pvp, and for pve. 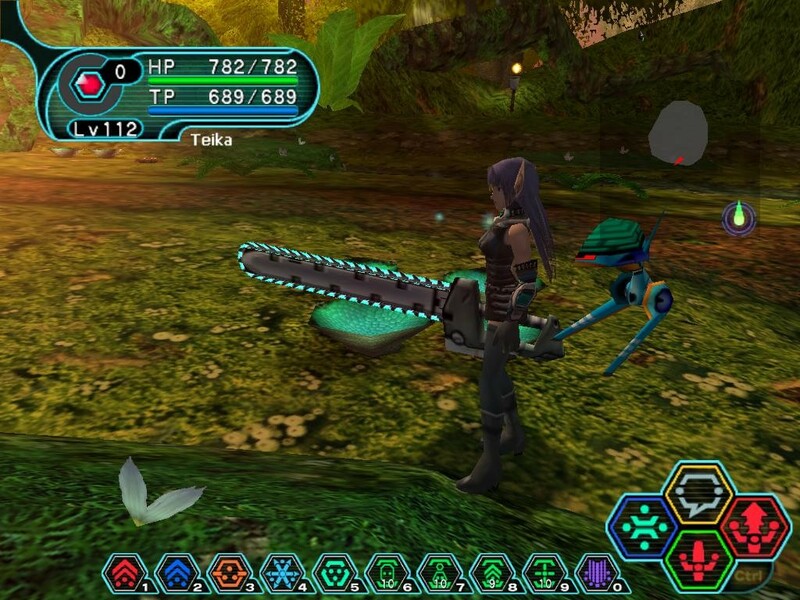 Chain Sawd from Phantasy Star Online, anyone? does anyone know if you can just buy it with honor points? this has the same weapon dps as the axe that drops in ToC25 normal, but less attack power and no ArP. So the raiding equivalent is still better for raiding, you will not need to pvp for pve gear. The pve weapons having more "pve" stats than the pve counterparts is nothing new. However despite that, this might still be better for some. Maybe, maybe not, maybe that will change with patches. What we can say for sure is that theres more numbercrunching to it than just seeing the pve weapons having less stamina and no itemization on resilience. Humans receive 5 expertise (equal to 41 rating) and the sword pve counterparts have only 3,5 speed, one of these swords has agility and both ArP and haste(at the above ilvl tier the only counterpart has that) while some classes only benefit much from one, like unholy dk's benefits alot from haste while little from ArP and visa versa with blood. It'll be up to spreadsheets (and a whole lot of theorycrafters who claims their ideas are above math) to tell the margins between them. Unfortunately the pvp versions doesn't come out much better versus the agility weapons by having strength. In oppose to rings/necks/cloaks, does no 2hand users would benefit more from having pure AP than strength. I don't understand why this would be taken out of the game. Its such a beautiful weapon. This weapon, and other removed S7 weapons are making a welcomed return in 7.0!